ALL THAT REMAINS has announced a spring 2019 headline tour with support from UNEARTH, BIG STORY, and THE 9TH PLANET OUT. The trek will kick off on May 30 in Amityville, New York and conclude on June 15 in Poughkeepsie, New York. 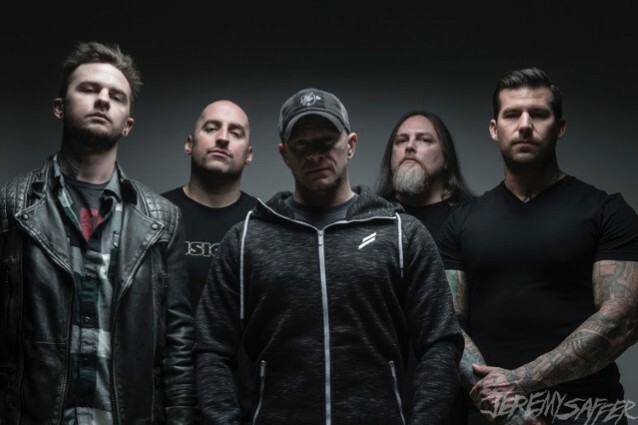 ALL THAT REMAINS is continuing to tour in support of its latest album, “Victim Of The New Disease”, which was released last November. ALL THAT REMAINS suffered a tragic and incredibly painful loss last fall ahead of the album’s release when their highly respected and immeasurably talented lead guitarist and founding member Oli Herbert, who played on all nine albums in the band’s discography, unexpectedly passed away. Guitarist Jason Richardson has since joined the band. Oli was found dead last October at the edge of the pond on his Stafford Springs, Connecticut property. The guitarist’s death is being treated as suspicious by investigators in the Connecticut State Police Eastern District Crime Squad. They are looking at the will he signed a week before his death as well as a life insurance policy mentioned in the will.